Setup and automate your Photo Backup in just a few taps. 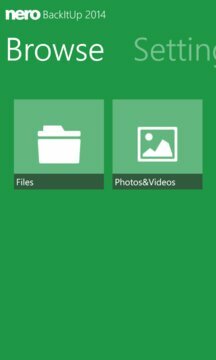 Sign up in the app for FREE 5GB online storage to backup, browse, stream and share files from any of your devices with your friends and family anytime anywhere. 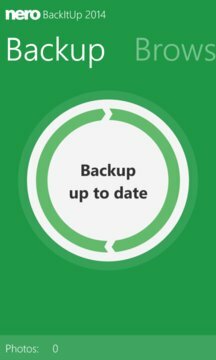 Backup an unlimited number of devices, including multiple PCs, tablets and smartphones, on a single account. Access your files anytime anywhere from any web browser. This keeps your most valuable files right at your fingertips, whenever you need them. - Share links to photos, videos and even your biggest files – no more e-mail attachments! Nero, Nero BackItUp are common law trademarks or registered trademarks of Nero AG.